With William we followed the same 2nd Master BIOTERRE at Sorbonne University «BIOdiversity, TERRitories, Environment ». He is an economist and was actually working for the Environmental Ministery in Paris. 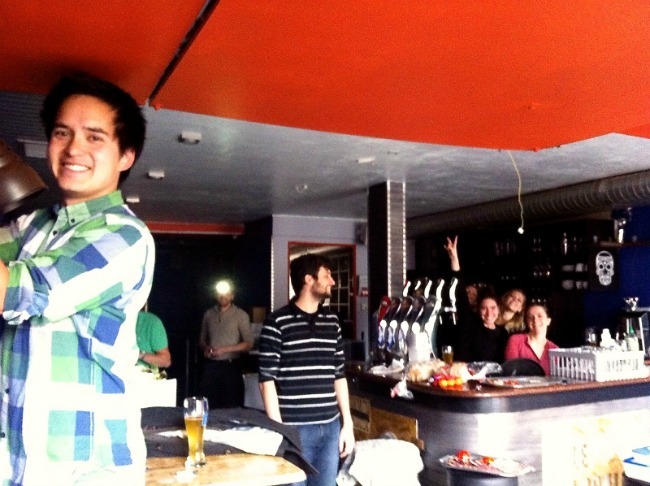 Then he quit his job to go back to his home town, Strasbourg, to build a bar project with his best friend: « THE LOCAL ». The concept: « the Local is both a bar and musical place where the public is served with the most alsacian & traditional beers, music and art » (Check out their facebook page). With other friends from the Master BIOTERRE we gave them a little joyful hand just before its opening on December 2015. Friends visiting Strasbourg, you definitely have to go! The most surprising part of the Local project is that 20% of the funding they needed to start, they got it from their friends. A nice alternative to bank loans which always go with « heavy » interest payments. Claire is a pharmacist. From « Outre-mer », she was 18 when she arrived in Strasbourg for her studies. Showing us the botanic garden, she tells us being convinced of the efficiency of phytotherapy, aromatherapy, homeopathy to prevent illnesses. Besides, given the freezing winter in Strasbourg she rarely get sick. « For example the ravintsara esencial oil is an excellent antiseptic and anti-infectives natural remedy. It stimulates immunity and helps facilitate recovery after a cold […] In phytotherapy I usually use extract of grapefruit seeds to stimulate immunity. When Will starts to get sick I give him 10 drops 3 times a day and it usually works: he gets better. There are thousands of remedies that the Nature gives us and that are trully effective, we could talk about that for hours!” Said Claire. To conclude, icing on the cake, Claire & Will went to live in the eco-neighbourhood of the brewery. It was built on the former Kronembourg brewery. 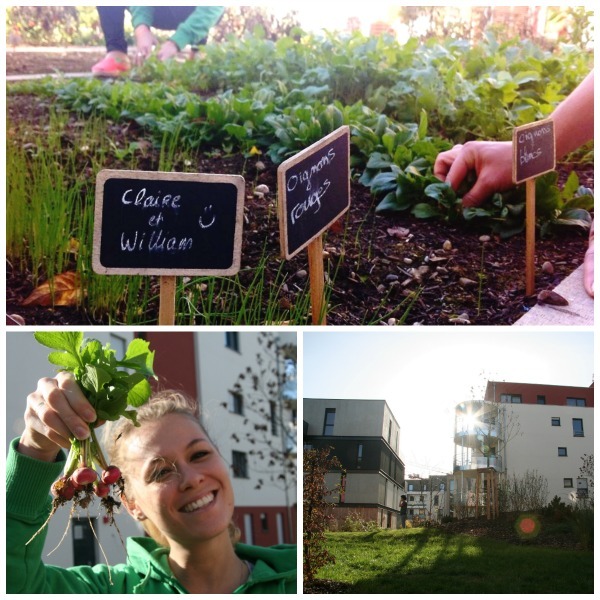 The buildings are thought not to waste energy (building orientation, materials used for insulation, reuse of an extraction well from the old « caneterie » for the district heating, BBC label), each inhabitant has access to a nice vegetable garden and is able to share a real neighbourhood life. Everything has been thought to encourage walking and biking. Something to make us want to do the same.